Requirements: you will need a HubSpot account and an AskNicely account before completing these steps. Note: HubSpot Marketing Basic/Pro/Enterprise account is required to integrate with AskNicely after the free trial period. Contacts are synced into your AskNicely account daily, and from there your normal survey rules and schedule will take effect. 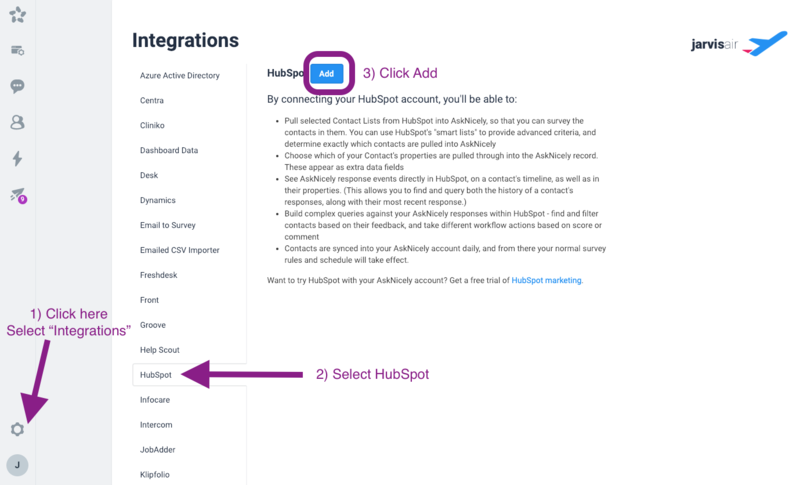 These properties are set as part of the setup process, but can also be updated at any point by clicking the edit button on the Hubspot integration page. 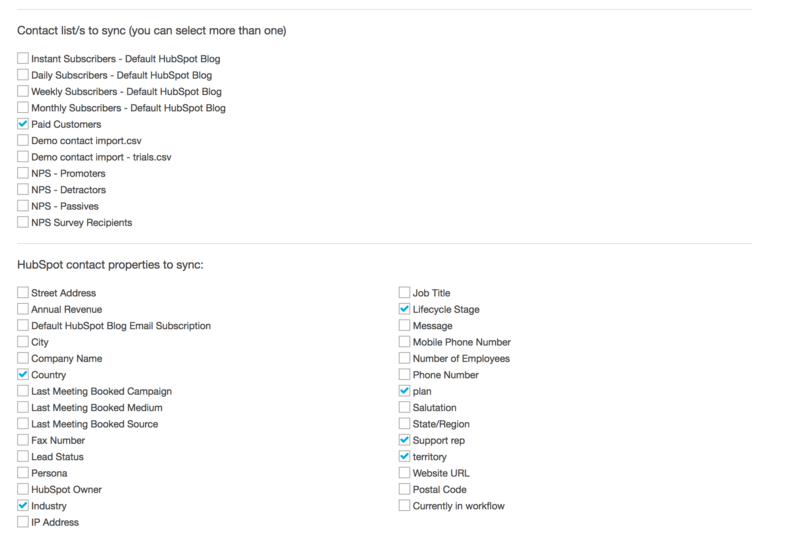 Use a list (or lists) in Hubspot to define which contacts you want to survey. Any selected lists will then be imported and synced daily with any new contacts being added to your survey queue. 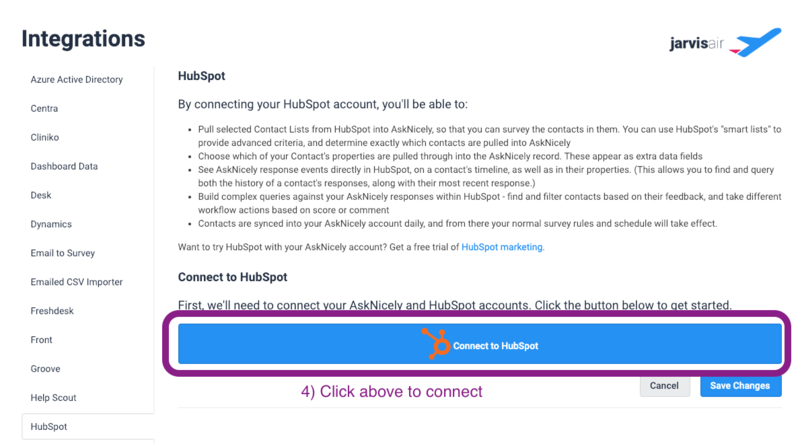 If a contact is a member of multiple lists in Hubspot, they will not be sent any more surveys than your contact rules within AskNicely allow (default is no more than once per 90 days). If you have more contacts than you can send in one day, then surveys will be sent over more than one day. The second consideration is which contact properties you want to sync. Any additional fields you sync in with each contact will enable you to view leaderboards and segment by that field. Examples of useful fields to segment by are type of plan or product purchased, area/territory of customer, customer service rep.